Percy Sacobie and wife, Barb. Photo courtesy of Percy Sacobie. “You have to stay here with me ’cause I don’t want you to be responsible for me,” insists a visitor to Percy Sacobie’s cabin in the woods behind his mother’s house. “You’re responsible for what you do to yourself,” Sacobie replies. He stops by the cabin every morning and every evening, but beyond that, its visitors are left to their own self-reflection. “From my own experience self-healing is the best healing you can do,” he says. Sacobie is a former teacher and band councillor on St. Mary’s First Nation in New Brunswick and, just this year, recipient of a Governor General’s Award for building the Take a Break Lodge, a temporary retreat for those who are struggling with mental health, addiction, or simply going through a difficult time. The 16-by-24 cabin is simple in design, with only the most basic amenities. It isn’t intended for a permanent stay. The rules, according to Sacobie, are pretty simple: No drinking or doing drugs around the Lodge (though it is open to those who are under the influence). Clean up after yourself. Be respectful. He doesn’t ask names, though there is a guestbook for those who feel inclined to sign it. “I don’t want to pry,” Sacobie says. “I’m just there to offer [them] a place to go.” It’s a place for self-reflection where privacy is respected, and all are welcome. The idea for the Lodge emerged out of personal tragedy—Sacobie lost his brother Glen to suicide in 2015, the fourth of his siblings to pass away—but he remains adamant that the project is about more than his own losses. 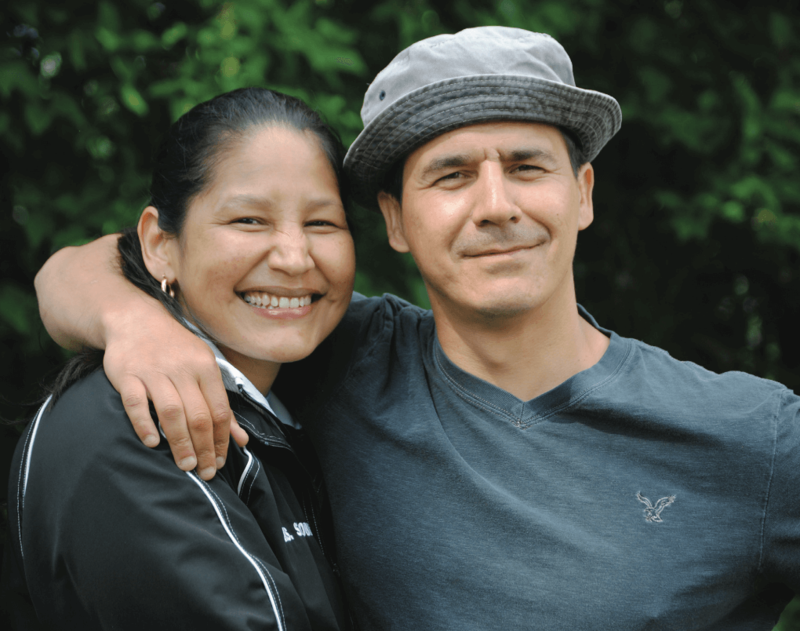 “I didn’t wanna make it about my struggles,” he says “I didn’t want people to say, ‘Oh, poor Percy, he lost four siblings.’ Let’s make this about the issue, which is mental health.” In a time when the rate of Indigenous suicide has resulted in states of emergency in multiple communities, initiatives to improve mental wellness are more important than ever. The Lodge is, in part, inspired by the traditional sweat lodge ceremony, but while sweat lodges are a long-term spiritual undertaking, sometimes with rules concerning whether one can participate while intoxicated, Take a Break is intended for what Sacobie refers to as “a quick fix.” It’s there when it’s needed, whatever the reason, for a little while. The space could not have been provided without support both in St. Mary’s and beyond. The Lodge was built through crowdfunding, and with help from Maliseet Nation Mental Wellness, who furnished the Lodge. Acknowledgements on the Lodge’s Facebook page includes local businesses, families, and community centres.